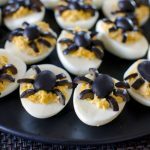 These Low Carb Halloween Deviled Eggs look complicated but this recipe is an easy to make Halloween treat! It will be a hit at your Halloween party. Slice the eggs in half length ways. Use a spoon to remove the yolk, and place all the yolks in a bowl. Add the mayonnaise, Dijon mustard, salt and pepper. 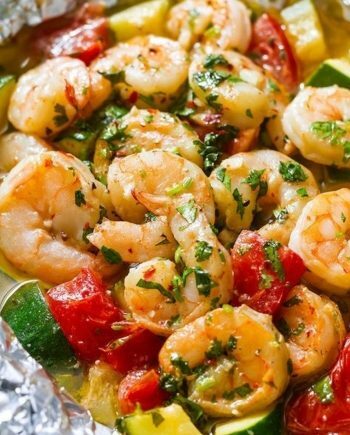 Mash everything together with a fork, and divide the filling between three bowls. To make the spiders, spoon the filling into four of the egg white halves. Cut two black olives length ways to make the spider body. Then cut more olives in half, and use thin slices for the legs.